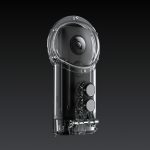 Insta360 has launched the Insta360 One X, a 360-degree camera with a resolutionThe number of pixels in an image, typically presented as a ratio of the total pixels on x axis to the total pixels on th... More of 5.7K, built-in stabilization, and cinematic slow motion. 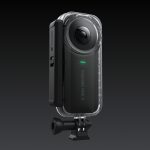 The original Insta360 One launched around the time that other consumer-level 360 cameras like the GoPro Fusion, Garmin Virb and Yi 360 camera, were raising the bar on resolutionThe number of pixels in an image, typically presented as a ratio of the total pixels on x axis to the total pixels on th... More from 4K to 5K and beyond. The Insta360 One X can capture 5.7K flat 360 video at 30 fps, but it can also capture 4K video at 50 fps, 3K video at 100 fps, and 18 MP photos. It can also livestreamDistribute video playback in real-time. 360 video, as well as free capture/overcapture video. The One X will still be able to capture RAW and LOG formats for maximum color grading flexibility. It also has HDR, timelapse, hyperlapse and interval shooting modes. This improvement in resolutionThe number of pixels in an image, typically presented as a ratio of the total pixels on x axis to the total pixels on th... More also means that Insta360’s free capture capability (the ability to reframe 360 video as fixed frame video) will look like true HD video. The free capture features will be available within the One X’s companion app and operate similar to free capture features for the One. When the Insta360 One launched, it unlocked a new feature for content creators, called bullet time. This allowed users to swing the camera, attached to a string, around their head to capture Matrix-like selfie videos. The Insta360 One X also has a fancy new party trick, which Insta360 is calling cinematic slow-mo. 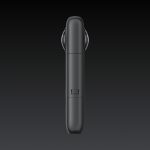 The feature allows users to place the camera in a Nerf-bullet-like housing (known as Insta360’s Drifter camera dart) and throw it to capture moving slow motion shots. 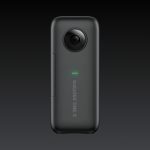 The airborne slow-motion shots are only one of the cinematic slow motion shooting options available on the One X.
Bullet time will continue to be available on the One X, and will see a bump in resolutionThe number of pixels in an image, typically presented as a ratio of the total pixels on x axis to the total pixels on th... More to 3K with the Insta360 One X’s 100 fps 3K shooting mode. As you can see in the sample above, the quality of cinematic slow-mo shots has improved slightly, but the resolutionThe number of pixels in an image, typically presented as a ratio of the total pixels on x axis to the total pixels on th... More still may not be high enough for some uses. Compared to the bullet time feature–while fun–cinematic slow motion seems to have a wider range of usability. It allows users to highlight key moments or create stabilized hyperlapse shots from their immersive footage. The Insta360’s FlowState stabilization algorithm comes standard on the original One and the company’s new professional-grade 360 camera, the Insta360 Pro 2. This makes it possible to use the camera hand-held, mounted to helmets, and beyond while capturing stable, usable video. Unlike the Insta360 One, the One X does not attach directly to a smartphone. 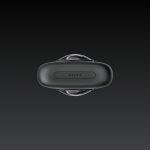 Instead, it connects to both Apple and Android devices over WiFi. I saw the connection in action at Photokina, and trust me, it is fast and simple. The camera can be connected to a phone via cable for faster data transfer. Like all of Insta360’s cameras, the One X comes with its own app, compatible for iOS and Android devices. 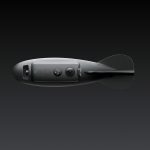 The app can be used to control the camera and settings, preview shots, and for basic editing and sharing. The app can adjust ISO, exposureThe measurement of the brightness and range (latitude) of light being captured by the camera. Exposure is governed by ca... More value, white balance and shutter speed. The One X is the next generation of the Insta360 One, which launched in the fall of 2017. It’s also the second camera Insta360 has announced this year. 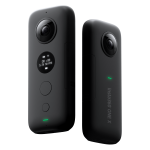 In August, the company announced the second generation of its professional 360 camera, dubbed the Pro 2. 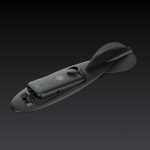 The Insta360 One X will also be launching alongside a number of accessories, including the Drifter camera dart for airborne slow-motion shots. The Drifter is designed to hold your camera securely and protect the lenses while it’s being thrown around. There’s also a waterproof case that protects your camera to depths of 30 meters and an adventure case to keep your camera safe in a number of scenarios. 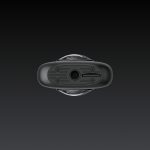 Another unique accessory will be Insta360’s GPS remote to control the one and record GPS data for videos and photos, such as speed, direction, elevation, location and route information. This accessory could be particularly useful for uploading to Google Maps Street View. 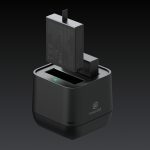 Insta360 will also be selling a two-battery charger accessory for the One X’s 1200 mAh removable battery (offering 60 minutes of continuous shooting while connected to a smartphone).